(Reuters) – Apple Inc will release a cheaper iPhone 4 within weeks, jeopardizing profit margins to win lower-end customers from rivals such as Nokia in China and other emerging markets. Asian suppliers have begun making a lower-cost version of the hot-selling smartphone with a smaller 8-gigabyte flash drive that will arrive around the same time Apple unveils its much-anticipated iPhone 5, two sources with knowledge of the matter told Reuters. The world’s most valuable technology company has long stuck to the higher end of a booming mobile device arena, but is now seeking out new markets to sustain the rip-roaring pace of growth that has enthralled Wall Street. It is in talks with leading Chinese carriers China Mobile Ltd and China Telecom Corp Ltd, both of which are eager to carry the device that defined the smartphone market when Apple launched it in 2007. Pat Becker, portfolio manager at Becker Capital Management, said Apple is looking to take a chunk of the market that is currently dominated by Finnish rival Nokia Oyj, which is widely expected to release a new phone running on Microsoft Corp’s Windows software as early as end of the year. Nokia dominates the lower end, while Apple has so far focused only on the premium market. “Your best defense is sometimes your offense,” he said. A cheaper phone risks cannibalizing Apple’s premium iPhone model and pressuring margins, but the California company needs one to expand its emerging market share, analysts say. The flash drive for the 8-GB iPhone 4 is being manufactured by a South Korean company, one of the sources said on Tuesday, declining to name the company. Apple currently sources its flash drives from Japan’s Toshiba Corp and South Korea’s Samsung Electronics Co Ltd.
Apple, which demands high levels of secrecy and security from suppliers and employees, would not comment. Samsung also declined comment. 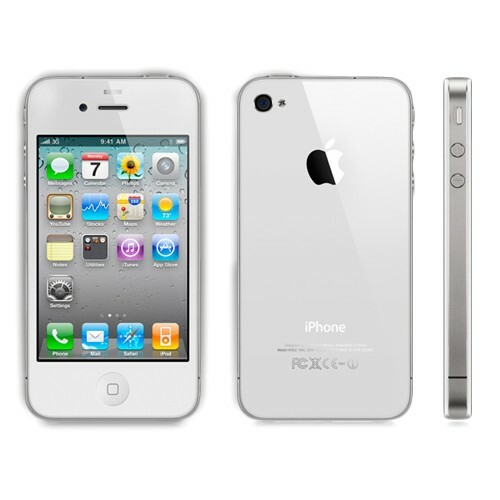 The iPhone 4 was launched June 2010 in black 16-GB and 32-GB versions, with white versions added to the lineup in April. The 8-GB version is expected within weeks, the sources said. “Apple may want to push into the emerging market segment, where customers want to switch to low- to mid-end smartphones from high-end feature phones, which usually cost $150 to $200,” said Yuanta Securities analyst Bonnie Chang. “But I think for an 8-GB iPhone 4, the price is hard to go below $200, so Apple will still need a completely new phone with low specifications for the emerging markets.” An iPhone 4 without contract commitments now costs over $600. The new iPhone — which some call the iPhone 4S because of its largely identical appearance to the existing iPhone 4 — will have a bigger touch screen, better antenna and an 8-megapixel camera, one source said. The iPhone 5’s two manufacturers have been told to prepare production capacity for up to 45 million units altogether, the source said. The phone will be made by Hon Hai Precision Industries Co Ltd and Pegatron Corp, the person added. Apple sold 20.34 million iPhones in the second quarter versus an expected 17 million to 18 million, and is increasingly looking to Asia to boost future results. Chief Operating Officer Tim Cook said in July the company is particularly optimistic about Greater China, in which Apple includes mainland China, Hong Kong and Taiwan. Asia-Pacific — which accounts for about one-fifth of Apple’s total revenue — and Greater China in particular helped Apple’s revenue surge 82 percent to $28.6 billion in April-June. This article orginally appeared on Reuters. With nearly 50 million iPhones sold to date, there are hundreds, perhaps even thousands, of iPhone cases that have been created. However, we think the latest solid aluminum cases have raised the bar for safety and elegence combined. 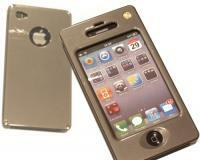 Inventive Metals a US company recenntly announced a line of iPhone cases constructed from solid aluminum. These durable cases are being sold in six different powder-coated finishes with styles ranging from elegant to wacky; they are specifically designed to protect the iPhone 4 and iPhone 3G/GS models. While inside the case, the iPhone is completely functional with easy access provided to the screen, all buttons, speaker, microphone, and headphone jack. Most importantly, the cases do not interfere with mobile phone reception. Inventive Metal’s product manager explains that the light aluminum case provide the iPhone with great drop protection; however, enclosing a phone in a metal jacket while maintaining its technical flexibility was extremely challenging. Inventive Metal’s iPhone cases can be purchased online at inventive metals.com and cost approximately $69 each. There are already a limited number of aluminum and leather cases suitable for iPhone 4 and 3G for sale from amazon.co.uk. (visit the Amazon UK website) selling from £25. However, the latest offer from Inventive Metals would appear to offer a marked improvement re design and signal clarity.For a real alternative, try our sponsored link on your right, Ion’s Stealth Predator, for a luxury iPhone case designed only for iPhone 4. The Predator Zero uniquely built from carbon fibre promises not only zero signal interruption but also zero flashlight interference – it is an exquisite accessory selling at $69.99. Apple offers a number of different recycling programs and has recently enhanced their service. Apple will now pay you a fair market value for your old iPhone, iPad, Mac or PC desktop or notebook computer. Payment is in the form of an Apple gift card or a discount on an iPad. The market value is calculated by a third party company called PowerOn and they run the recycling program for Apple. Recycling old mobile phones and computer components harvests metal, plastic and glass as well as extending the life of products that have value in the second hand market. You can take your old Mac laptop or desktop, old iPhones and iPads into an Apple Retail Store or an Apple Premium Reseller to get it recycled in exchange for an Apple Gift Card. If your old phone or computer is suitable for resale, all your data will be securely erased. You can use the Apple gift card for purchases on the Apple Online Store or in any Apple Retail Store. If your old phone or computer is not considered to have monetary value, Apple will recycle it free of charge (in the past you would have been charged £25 for recycling such items) and offer you a ten percent discount on a new iPod. However, if you are considering selling your old mobile phone or you want to buy a reconditioned smartphone you would be wise to check out our comparison sites. Follow our guide to a reconditioned iPhone by clicking on the sidebar on our homepage.